The U.S. defense secretary is resigning, citing differences with the president over support for allies and his attitude toward China and Russia. Trusted by friends and foes, the ex-general also curbed Trump’s impulses. More military risk is the last thing rattled investors need. 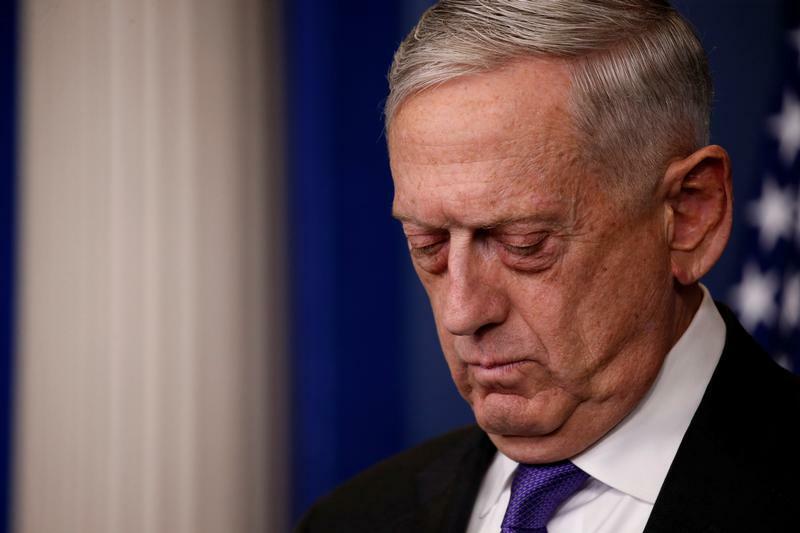 U.S. Defense Secretary Jim Mattis said on Dec. 20 he would resign his position in February, citing major foreign policy disagreements with President Donald Trump. His move came one day after Trump announced he was pulling all U.S. troops out of Syria, rebuffing his top advisors. "My views on treating allies with respect and also being clear-eyed about both malign actors and strategic competitors are strongly held and informed by over four decades of immersion in these issues,” Mattis wrote in his resignation letter. “Because you have the right to have a Secretary of Defense whose views are better aligned with yours on these and other subjects, I believe it is right for me to step down from my position." Trump announced Mattis’ departure earlier in the afternoon in a tweet. “General Jim Mattis will be retiring, with distinction, at the end of February, after having served my Administration as Secretary of Defense for the past two years,” he wrote.